On day three of the William Jones Cup, the Indian men’s basketball team lost 80-101 against Republic of China ‘Blue’ (Chinese Taipei National Team A). Anil Kumar Gowda put on a shooting clinic: dropping 27 points, shooting 80% from 2 point range and hitting five of seven from beyond the arc. Young forward Muin Bek Hafeez continued to impress with 12 points, while Amjyot Singh Gill notched up 13 points. Collectively, the Indian men were also competitive on the boards, and managed to keep the turnovers down to only fifteen. Next up, the Indian men play Iran on 18th July at 1500 hrs CST (1230 IST). 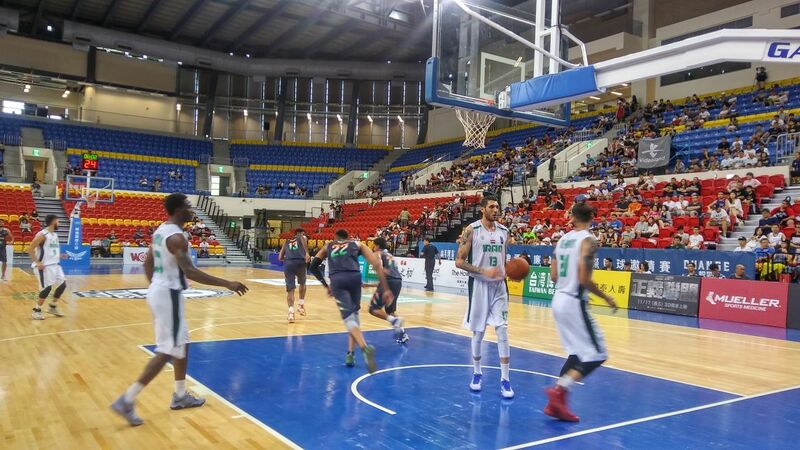 Taipei/Bengaluru, 17th July 2017: The Indian men’s basketball team continued to shoot the ball well against Republic of China ‘Blue’ (Chinese Taipei National Team A), but eventually lost 80-101 on the third day of the 39th William Jones Cup for men. In a see-saw game that saw both teams seize the initiative intermittently, the standout performance was Anil Kumar Gowda who dropped 27 points. The guard from Karnataka put on a shooting clinic, shooting 80% from two-point range and hitting five of seven from beyond the arc. Young forward Muin Bek Hafeez (12 points) continued where he left off in the last game, shooting the ball well from the paint; while Amjyot Singh had a quiet game compared to his lofty standards, but still managed to notch up 13 points. In the end, the Indian men were overcome by an all-round performance from the Chinese Taipei team, as they had five players scoring in double figures. Despite the loss, the Indian team will take heart from the fact that they were competitive on the boards, and managed to keep the turnovers down to only fifteen. The Indians will be hoping to keep improving when they come up against the mighty Iran on 18th July at 1500 hrs CST (1230 IST).